Therapy Hair Studio > Blog > Editorial Work > Elaine Turner and Therapy Hair Studio’s editorial work featured in this month’s issue of Houston Modern Luxury! Elaine Turner and Therapy Hair Studio’s editorial work featured in this month’s issue of Houston Modern Luxury! Check out the latest editorial work using Therapy Hair Studio’s top professional stylists in the new issue of Houston Modern Luxury. 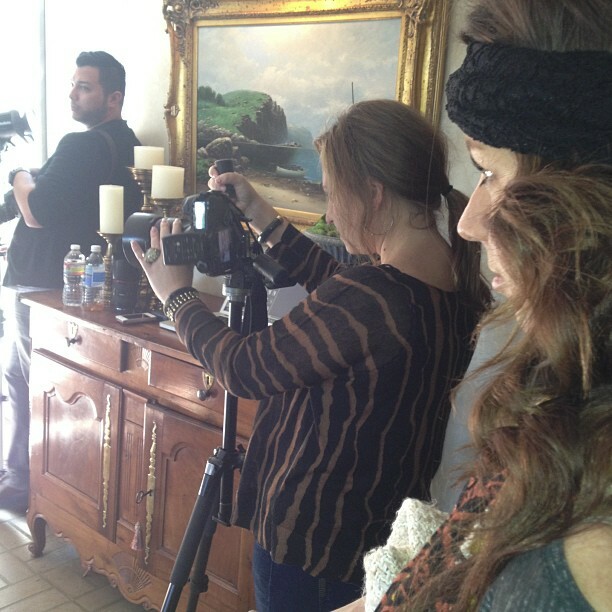 The Therapy team spent the entire day on the set for designer Elaine Turner’s 2013 Spring campaign advertising shoot. Below are some of the behind the scenes shots of our professionals hard at work. A dream team from Therapy Hair Studio can be available for your next photo shoot. Final touch up before heading to Kenya. A braid on the fly during the fitting for the Spring 2013 campaign. Therapy hairstylist Kelli Schroeder looks on as photographer Julie Soefer works her magic.